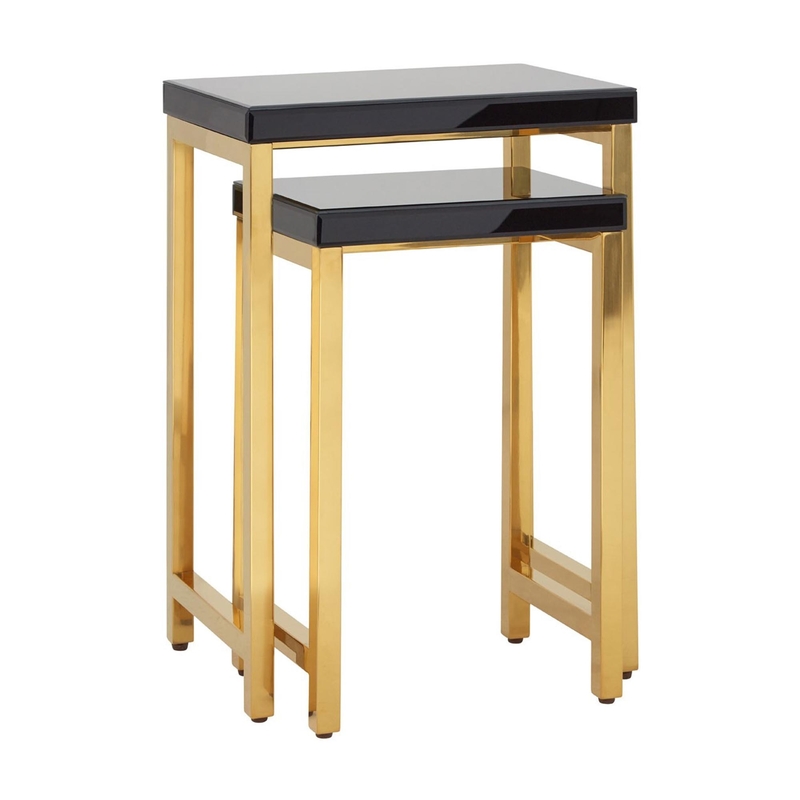 Featuring a gorgeous glossy black finish which makes for a tonal counterpoint due to its matching gold coloured legs. This nest of tables offers plenty of table top space, perfect for placing food and snacks when next to your arm chair or for simply decorating it with some ornaments or photo frames. Made from only the highest quality materials, just like the rest of the products we have to offer at HomesDirect365, this side table has been built to last.